Friday, November 10, 1911:Must begin to study harder if I ever want to graduate. Teacher gave out our reports and also gave quite a lecture about our marks also this afternoon. Ruthie expected a friend this evening and made chocolate fudge, but she didn’t come but the fudge however was not wasted. One-fourth cup of milk, one and one-half tablespoonfuls butter, one and one-fourth cups powdered sugar, nine tablespoonsful cocoa, a pinch of salt, one-half teaspoonful vanilla. Put the butter and milk in a sauce-pan, and when the butter has melted, add the sugar, cocoa and salt. Stir until dissolved, then cook, stirring occasionally, until it strings, which will be about eight minutes. Remove from stove, set in a pan of cold water, add the vanilla, then beat gently. The instant it begins to thicken, pour into a buttered pan. When hard, cut in squares. Great care must be taken not to beat it much, because, if beaten too thick, it cannot be poured into the pan. Grace Harbor, Trout Run, Pa. I stirred black walnuts—see yesterday’s post— into some of the fudge before I put it in the pan. The resulting fudge was awesome and brought back memories of fudge I ate many years ago when I was a small child. Black walnuts have a wonderfully intense flavor that co-mingled beautifully with the rich cocoa flavor in the fudge. I assumed that “strings” meant ,when I lifted my stirring spoon above the pan and then tipped it so that the chocolate mixture could flow back into the pan, that a “string” of chocolate went from the spoon to the pan. It did not take 8 minutes for the mixture to reach this stage—it probably was more like 5 minutes. The mixture started to thicken only a few seconds after I set the sauce pan in cold water and began to stir. After the fudge hardened, I had a little difficult getting it out of the pan, so I set the pan in hot water for a couple minutes. It when came right out and was easy to cut into squares. I was surprised how little fudge this recipe made. I put it in a small 5 inch by 5 inch casserole dish that I usually use for left-overs. Families were larger a hundred years ago than they are now—so I would have thought that the recipe would make a large quantity rather than a tiny amount. Maybe cooks typically tripled or quadrupled the recipe. 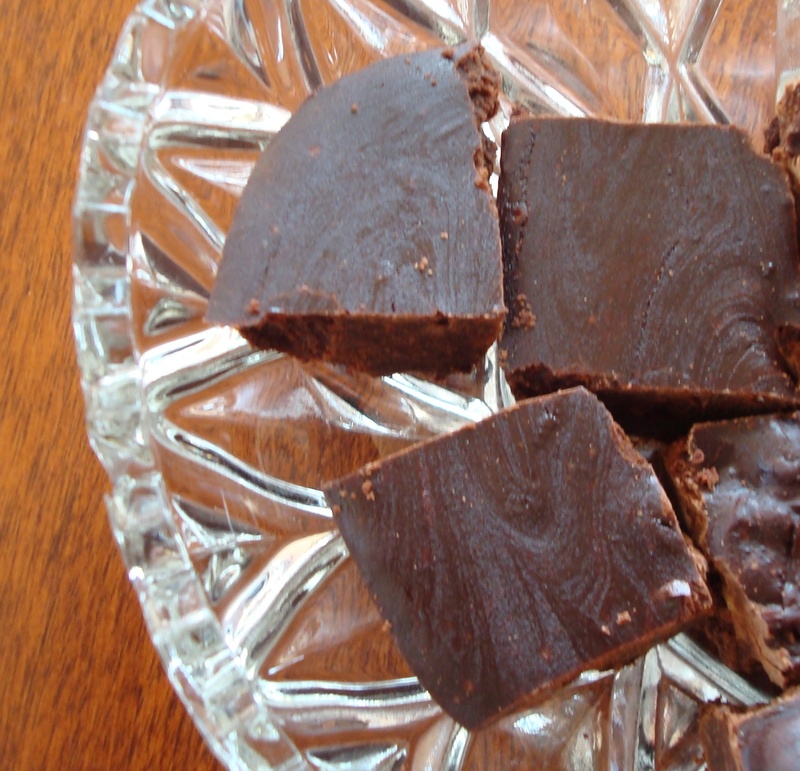 Last spring I did another post on old fudge recipes—one even used molasses as in ingredient. 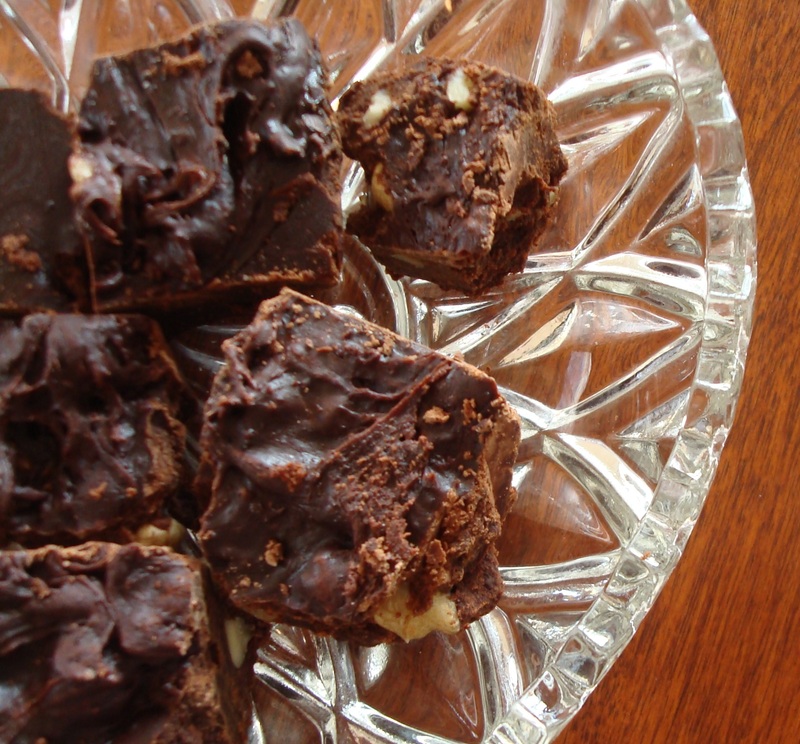 Click her to see 1911 Chocolate Fudge Recipes. * I got the recipe out of a 1992 reprint of the 1907 book. Kwik-Kopy Printing, Williamsport PA published the reprint. Posted on November 10, 2011 August 30, 2015 by SherylPosted in Food, recipesTagged candy, fudge. I miss the days when making fudge was a special family activity. Now we had all sorts of candy bars and chocolate bars, but it just lacks that fun time when we all took turns beating the fudge so it had just the right consistency and glisten. And even the mistakes, i.e., spoon candy, were heralded with great glee. Yes, indeed, I miss those days. I love this recipe. Reminds me that before candy thermometers, candymakers had to know what to look for in the pan (like strings). I love that! I’m guessing that in those days, they cut the fudge into really small pieces and didn’t eat huge, honking chunks like we do. It was a huge luxury, right? Weren’t things like cocoa and sugar extremely expensive? I love your blog so much! Sometimes I think that homemade candy may have been more popular than cookies or cakes a hundred years ago. I think that in the days of wood or coal stoves that oven temperatures were difficult to regulate which could make it challenging to successfully bake desserts. But candy was made on the top of the stove and easier for them to successfully make. I can’t imagine trying to bake a cake in a wood stove! yum yum yummm! Whata lovely post! Just found your blog! Love the old fashioned fudge recipe! Thank you for your time and energy to share it with all of us! God Bless! Thanks for taking a moment to write the kind note. I have a lot of fun doing the blog and it is always wonderful to hear when some one enjoys it.